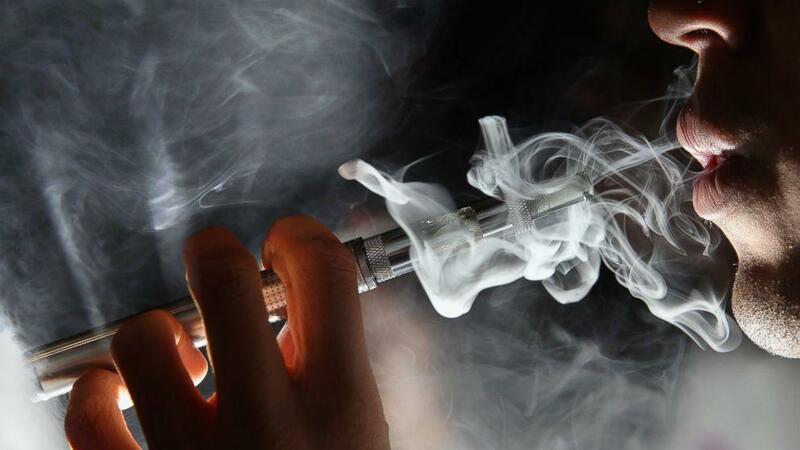 Diacetyl, a flavoring chemical linked to cases of severe respiratory disease, was found in more than 75 percent of flavored electronic cigarettes and refill liquids tested by researchers at Harvard T.H. Chan School of Public Health. The study was published online Tuesday in Environmental Health Perspectives. The Occupational Safety and Health Administration and the flavoring industry have warned workers about diacetyl because of the association between inhaling the chemical and the debilitating respiratory disease bronchiolitis obliterans, colloquially known as “popcorn lung” because it first appeared in workers who inhaled artificial butter flavor in microwave popcorn processing facilities. “Recognition of the hazards associated with inhaling flavoring chemicals started with ‘popcorn lung’ over a decade ago. However, diacetyl and other related flavoring chemicals are used in many other flavors beyond butter-flavored popcorn, including fruit flavors, alcohol flavors, and, we learned in our study, candy-flavored e-cigarettes,” said lead author Joseph Allen, assistant professor of exposure assessment sciences. There are currently more than 7,000 varieties of flavored e-cigarettes and e-juice (nicotine-containing liquid that is used in refillable devices) on the market.